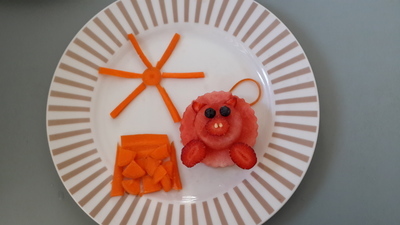 This is a fun and yummy snack that the kids can help you make in the kitchen. 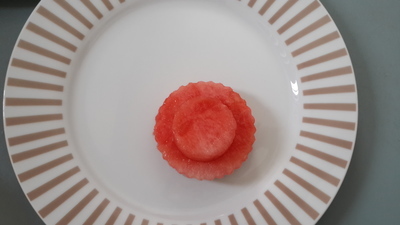 This snack make use of some fresh and delicious watermelon and strawberries, which are just in season right now. 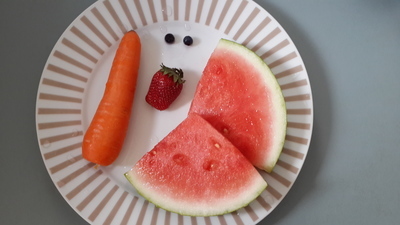 Use cookie cutters to cut two round shapes of the watermelon, one bigger than the other. Place smaller circle on top of the bigger one (Note: you can also use glass to do so). Slice 3 strawberry round slices and two small triangles. 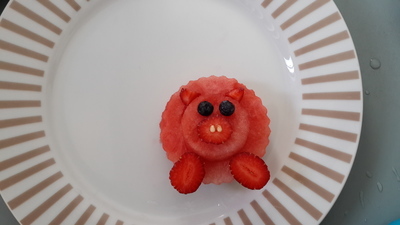 Place as shown in the photo below, including the blueberries for the eyes.Use 2 watermelon seeds as the nostrils for the pig. 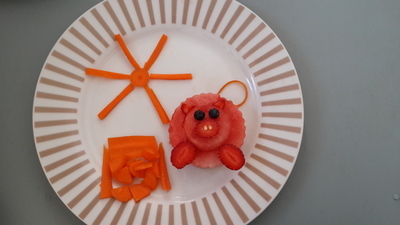 Peel a thin slice of carrot, curl it up and place next to the piggy for the tail. Then, slice half a carrot and julienne the other half. 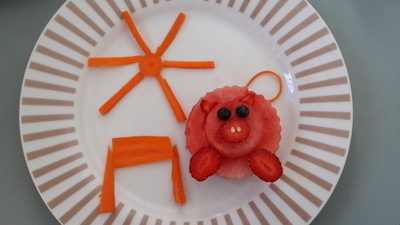 Make the sun and the small farm/shed and your snack is ready.